Google launches Android Market web store | What Hi-Fi? 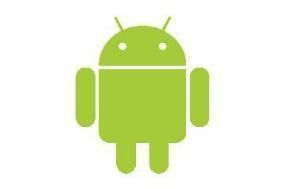 Android users can now browse apps in a graphically rich environment, and unlike Apple's store – which forces you to open iTunes to buy an app – the online Android Market will let you buy and install the app without leaving your browser. Other improvements include ranking of top apps and a Tweet button for easier sharing. There's also a compatibility filter to help overcome the problem of selling apps on an increasingly fragmented platform with four current versions. And there's an option for developers to specify regional pricing by country, rather than the current one-price-fits-all model. Check out the new Android Market yourself. At the same time, Google also unveiled its new Android operating system. called Honeycomb, designed specifically for tablet computers and designed to take on Apple's iPad. Features include the ability to buy apps from a tablet, buy features inside the app, video chat and improved graphics.